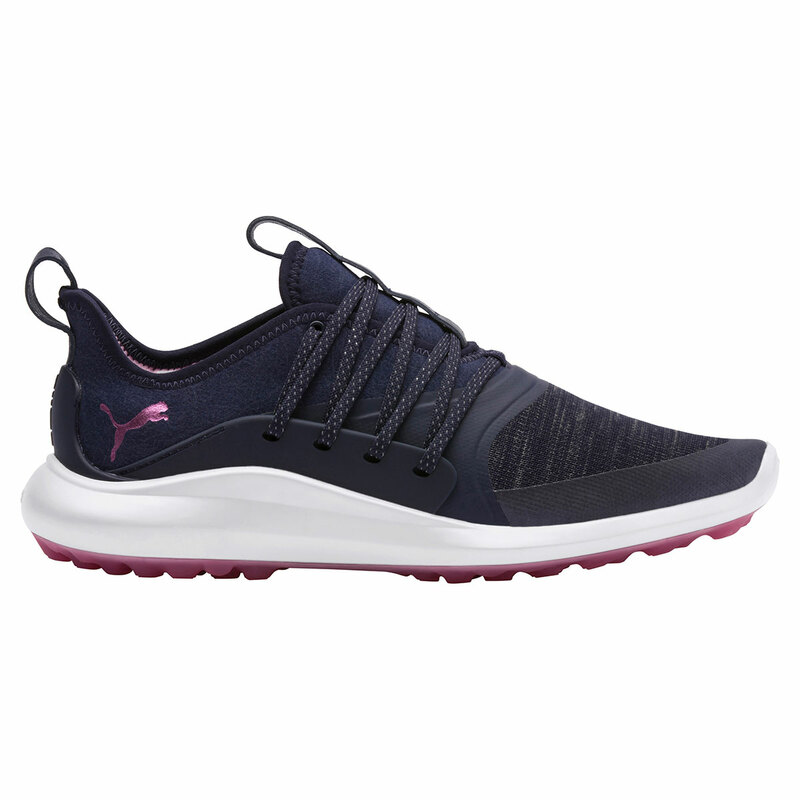 The PUMA Golf Ladies IGNITE NXT Shoe offers increased comfortability, allowing you to stay out on the golf course for longer. The super strong and lightweight TPU attached to the midsole allows the laces of the shoe to completely wrap around your foot to give you 360-degree support while securing the midsole and outsole directly to your foot for ultimate ground feel. The ultra-thin TPU frame has been strategically placed in high-stress areas on the upper for lightweight support and increased stability.